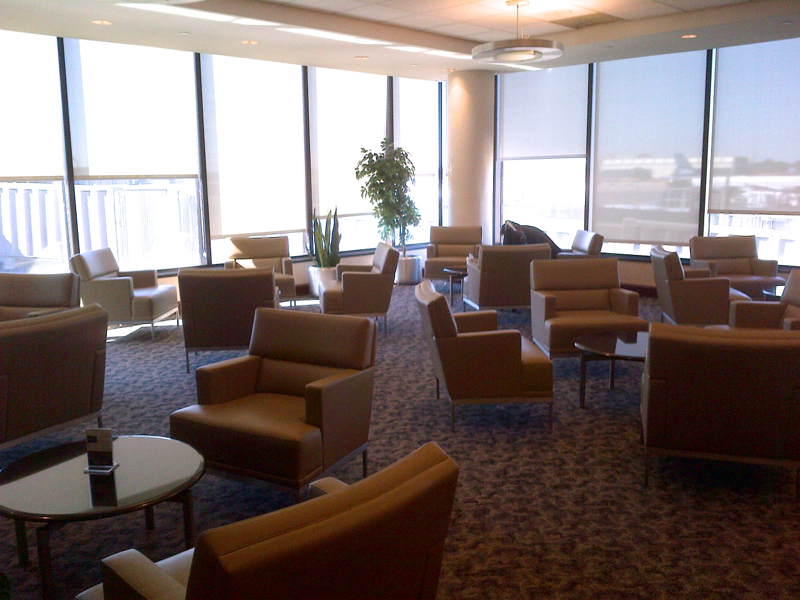 This United Club Lounge Newark Airport, Terminal A Review is one of several Airport Lounge Reviews. Visiting NYC? 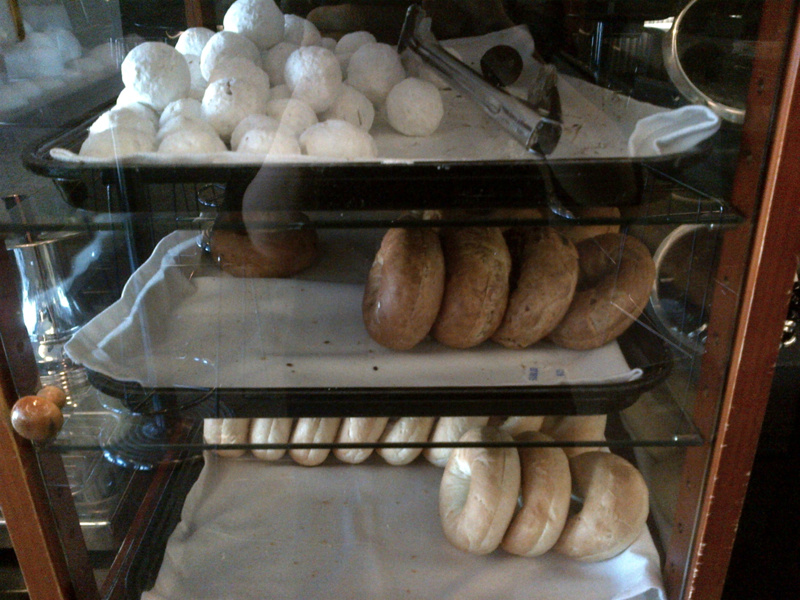 See our many NYC posts. You’d never know where the United Club is from the signage that you see after clearing Terminal A security, since all the signs facing you around the gates omit any mention of the United Club. 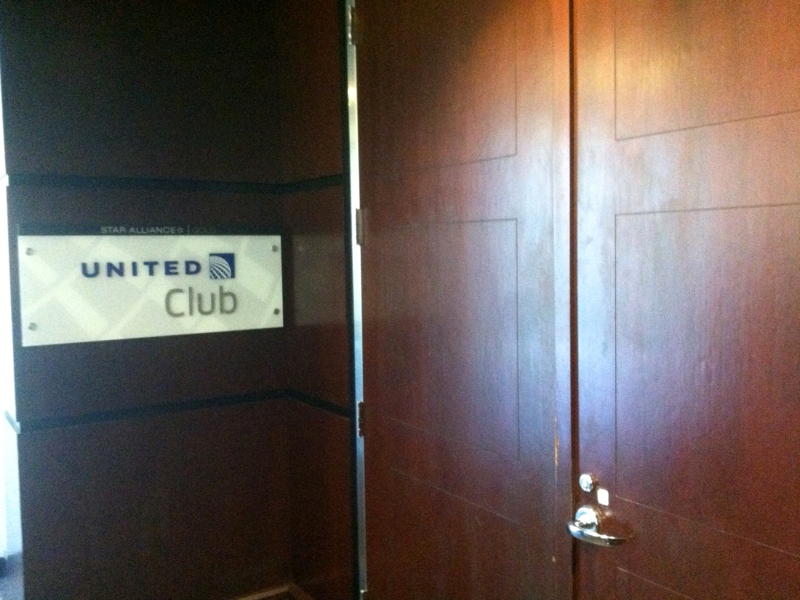 Fortunately, after I asked a gate agent, she pointed us in the right direction: you have to turn around and walk to the left of security, as if you’re exiting the gate area, but before you pass the TSA agent, you’ll see the United Club entrance–wooden doors–to your left. 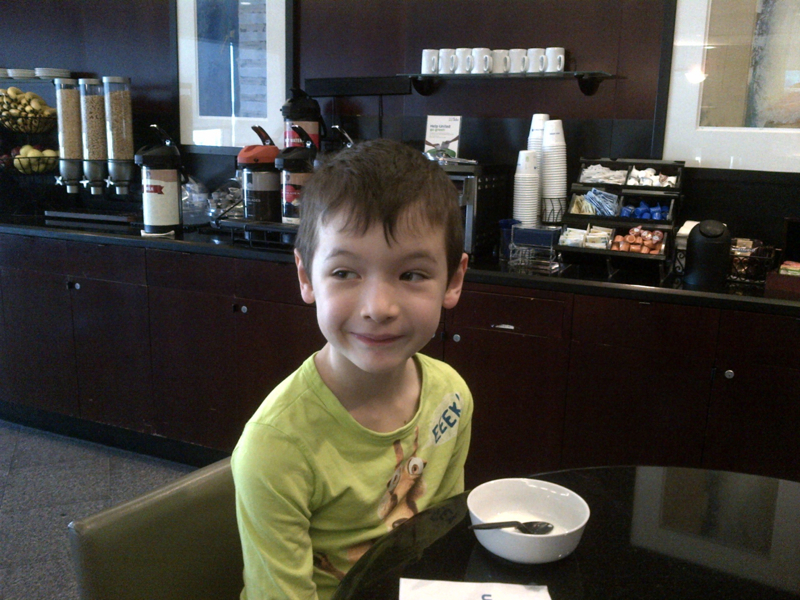 A United Club Lounge attendant welcomed us as we arrived. Since we were three and only had two passes, I asked if the munchkin could accompany us, but the attendant noted that a lounge pass is required for each person. That’s the rule, which I was aware of, but figured it never hurts to ask. My husband didn’t care about entering the lounge, since he didn’t have any work to do and wasn’t hungry, so just the munchkin and I entered. Behind reception is the largest seating area, although there was hardly anyone there, either when we entered or when we departed. We took a right and proceeded along the hallway to the Bar area, with the light breakfast spread along the opposite wall. This was the busiest area, but we managed to find a free bar table, although I had to lift the munchkin up given the height of the bar chairs. 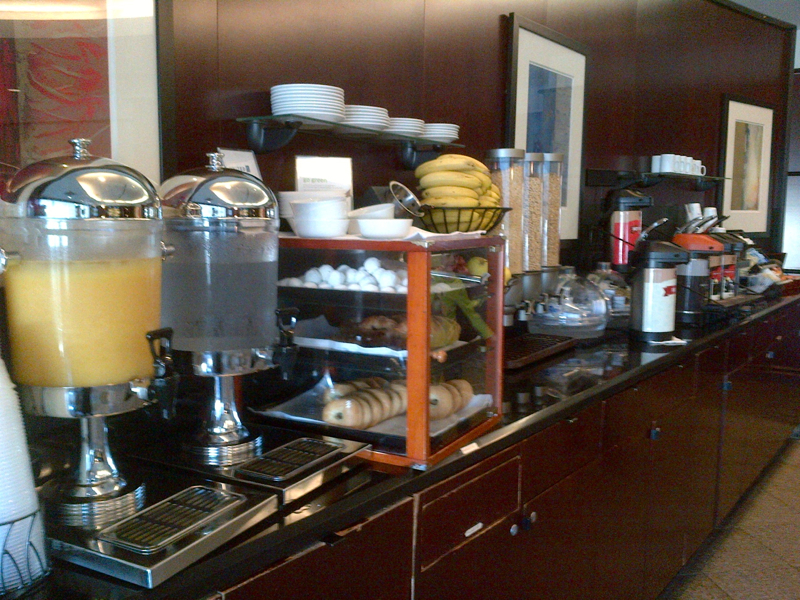 The breakfast spread included juice, water, fresh fruit, cereal, milk, blueberry yogurt, and coffee and tea. Even though we'd had a full breakfast at home, the munchkin insisted he was hungry and sampled almost everything, from cereal with milk and yogurt to part of an apple and a toasted mini bagel with cream cheese. His favorite was the bagel with cream cheese, and in my view the worst item was the yogurt, which was highly processed and poor quality. 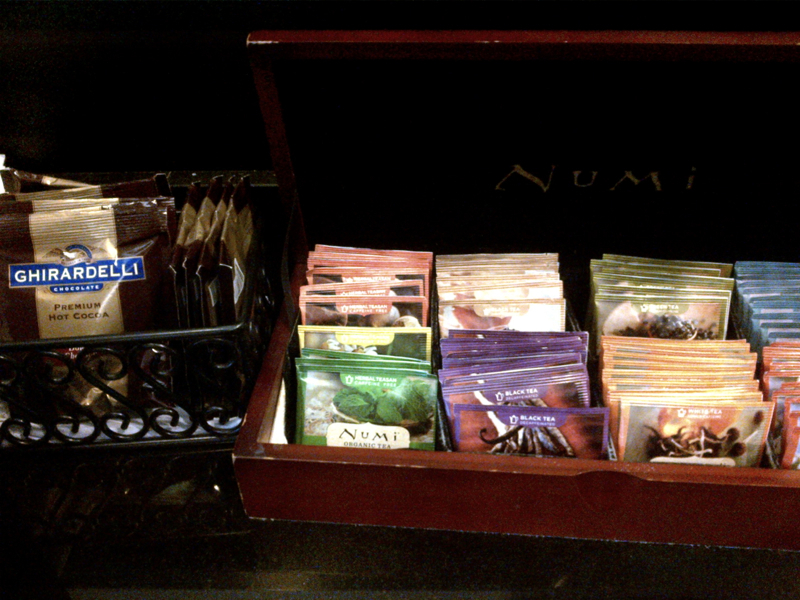 Although as far as tea, I prefer Mighty Leaf tea such as the AMEX Centurion Lounge in Las Vegas offers, the Numi tea which was offered was quite good–at least the organic Morocaan Mint version I tried. There was also Ghiradelli cocoa mix, which would appeal to kids and kids at heart. 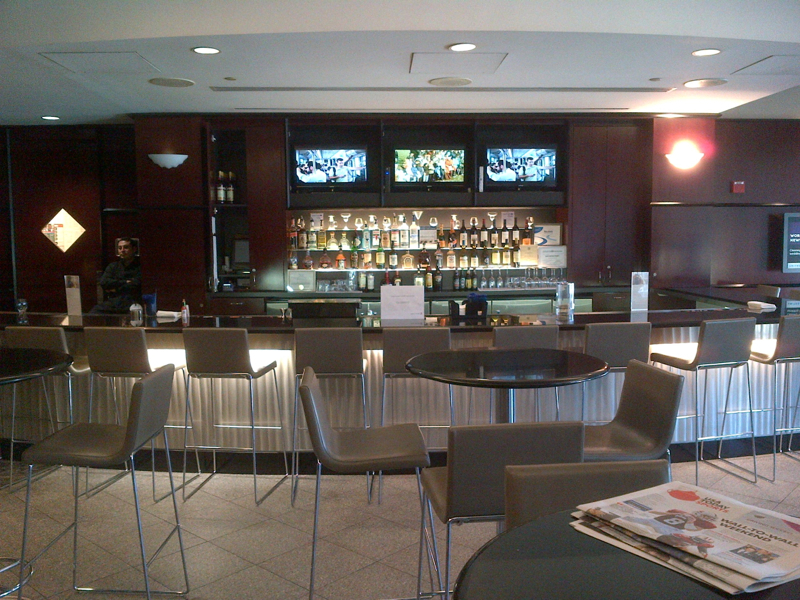 The United Club Lounge in Newark Airport’s Terminal A is small, as you’d expect for a lounge that services just a few gates for United domestic flights. I was pleasantly surprised to see that there’s a shower (by appointment only) which is unusual for domestic U.S. lounges. Breakfast was very basic but adequate for staving off hunger. And importantly, WiFi was reasonably fast and worked without any hiccups. 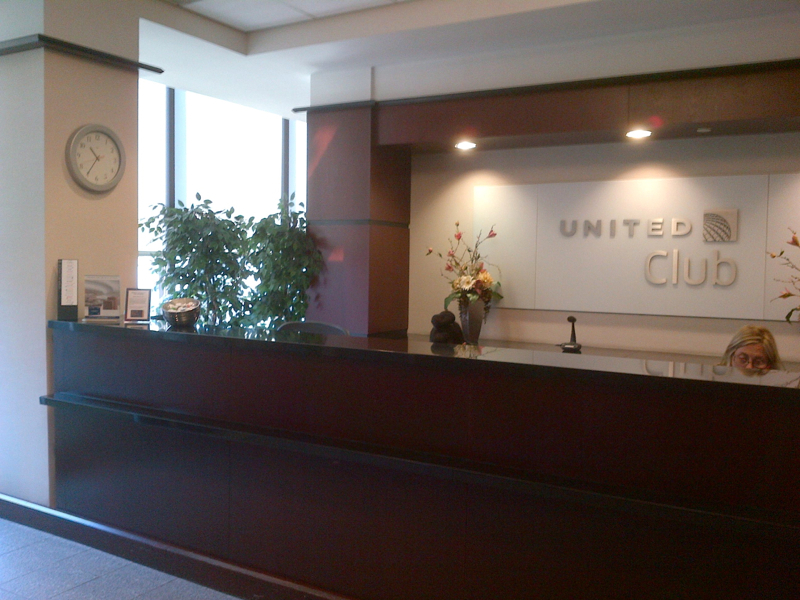 If you've visited a United Club at Newark Airport, what was your experience?